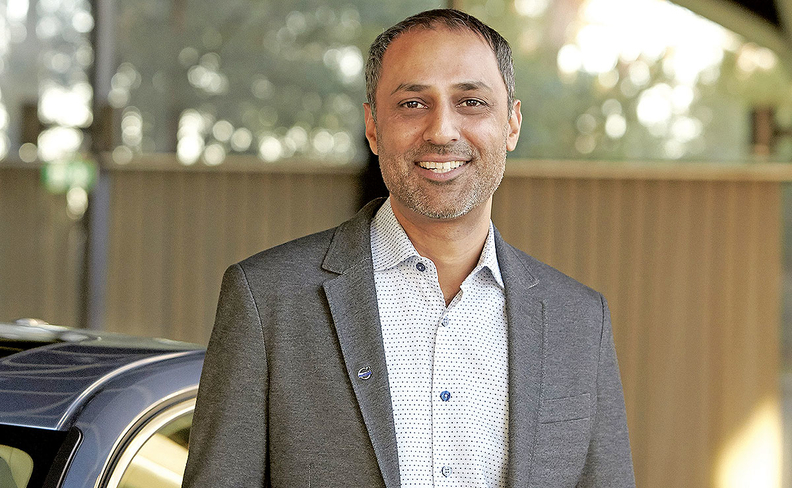 When Volvo Cars named Atif Rafiq as its first chief digital officer two years ago, luring the longtime Silicon Valley executive from McDonald's, the automaker said it expected him to lead the company's digital transformation. In an interview with Automotive News Europe Managing Editor Douglas A. Bolduc, Rafiq explained how Volvo is attracting top talent from the world's best-known technology companies to reach this goal. Here are edited excerpts. Q: How is Volvo luring people from Silicon Valley's power brokers? A: We are a very desirable place to work, and that's clear since we built up an organization of digital natives in Silicon Valley to the tune of 100 people in a short period of time. We had a base there for two to three years, so we were about 35 people when I started. But from when I entered the company we decided we would take that to the next level. We are trending toward 200, which we should reach by the middle of this year. How big could your Silicon Valley team become? We are not going to grow into the thousands because that would be a bit expensive. We are not Google or Facebook, therefore, we are being very pragmatic and targeted about it. We are very happy with the results. Why is demand so strong for Volvo's job openings in Silicon Valley? The [mobility] space is absolutely screaming hot from a growth standpoint because people think they can contribute and have a degree of impact. If you come to Volvo, you will be able to contribute and have impact. As a result, we are pulling in well-established technical people from Google, Open Table, Facebook, Netflix and those kinds of places. They are people who have built good careers at those organizations, but the next challenge is helping Volvo in the digitization of the entire mobility sector. That becomes a very desirable thing to do in one's career. Our job is to set those people up for success by putting them in a position where they can have an impact. You are looking for pioneers? I'm looking for people with a bit of a similar background where they have proved themselves at startups and/or large tech companies. I'm looking to fuse that to the DNA of Volvo because that will accelerate the pace at which we are able to transform. You can't lose by bringing in the very best people. You came to Volvo specifically to build strong connections with Silicon Valley, correct? Volvo has always been a progressive company that in recent years has been open to new partnerships. Evidence of that is the partnerships with Uber and Google. Those were in motion before I arrived [in January 2017]. I remember talking to Hakan [Samuelsson, Volvo CEO] about that, when we were getting to know each other. Was the CEO also a strong promoter of this shift? One of the fundamental ingredients is that from the very top of this company, we have a willingness to go to the partners, roll up our sleeves and talk about something that we want to create in the world together. And then the follow-up has been there in our teams to actually make it real. From a personal perspective, this is a digital native's dream. We love cars and we think of them as a device. We just want to make cars fit into the lives of consumers, to simplify their lives, give them time back, and unlock new experiences that they wouldn't even expect. We are just at the starting point. We are going to raise the bar.